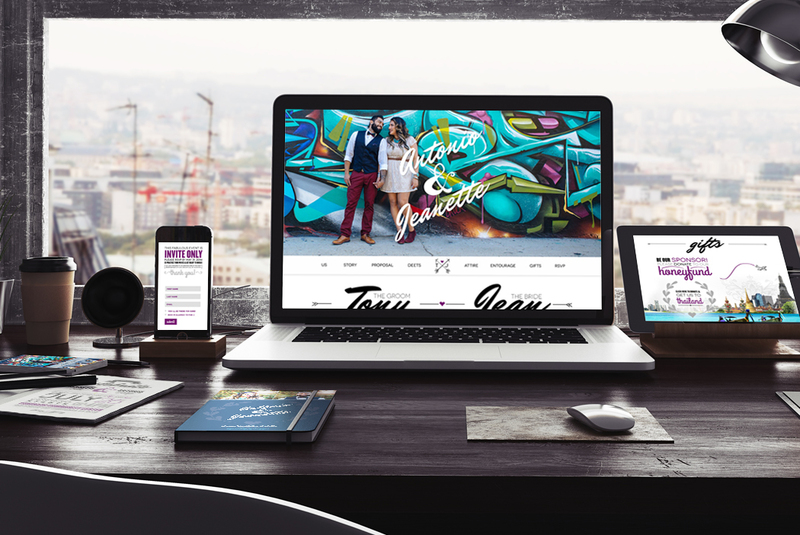 For San Diego couple Tony & Jean, we had to design a wedding website that captured their unique style. We branded their wedding and carried the look and feel through out all things that were related to the wedding. 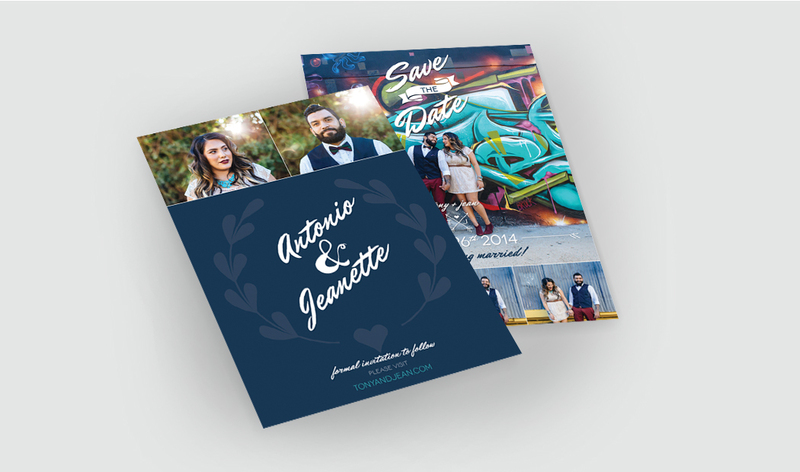 From Save the Dates to wedding cards, it captures everything that is Tony & Jean. 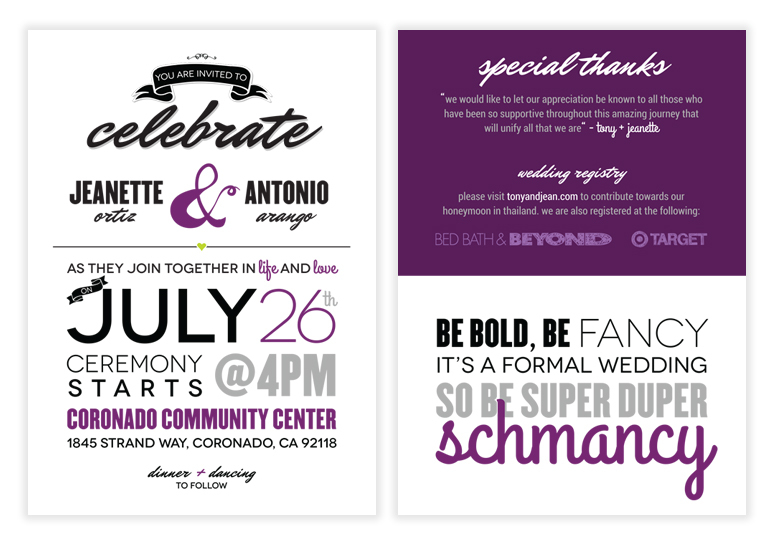 Aside from the print design, we also integrated RSVP functionality into her website. This makes it easier to manage and keep track of all her guest!